Explore your inner world and be inspired with The Wellbeing Journal. 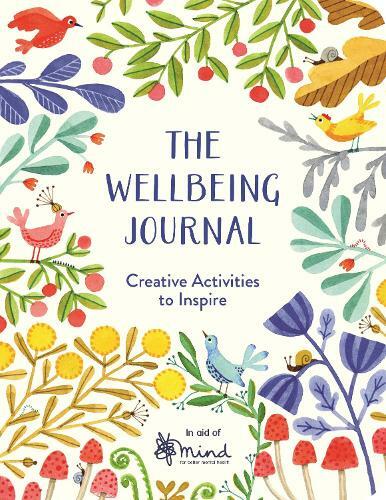 Developed in partnership with Mind, the mental health charity, each page of this gorgeous journal has been thoughtfully crafted and it includes activities, colouring, drawing prompts, contemplative quotes and lots of space for you to write about your own thoughts, feelings and experiences. Creativity and reflection can have a powerful, positive influence on our lives. Now, with The Wellbeing Journal, you can enjoy practising these skills every day and wherever you go.